Resolving a Tech Glitch. Images will be back shortly! We've SMSed you a Code for Mobile No. Verification purpose. Please enter Code below to complete Table Booking. Thanks. You’ll soon receive Requested-Info from Xerve’s Partners (via Xerve Chat). 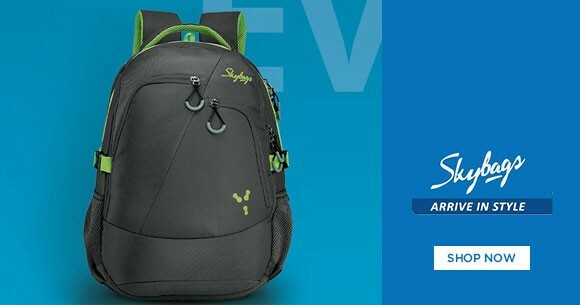 Get Upto 20% Discount On Every Day Bags From Skybags Online Store. Follow The Landing Page And Make Your Purchase.